Arkansas Country Doctor Museum > Dr. George Hardgrave, Sr.
George Louis Hardgrave was born in the community of Horsehead Creek in Johnson County Arkansas on February 5, 1881, the son of Hugh Wilson Hardgrave and Margaret J. McMillin. He and his family are primarily descendents of Bartholomew Hardgrave of Yorkshire County, England. Young George married Myrtle Jones of the West Mt. Zion Community. The couple had 3 children. In 1909 Myrtle died at the age of 26. The following year George married Artelia Jones, sister of Myrtle. This marriage lasted until his death 51 years later. Three children were born of this union. One son, George L. Hardgrave Jr. M. D. was killed in 1951 while serving in the U.S. Navy. Dr. Hardgrave was ever active in the County Medical Society, serving in all offices including the presidency. He was a one-term Vice President of the Arkansas Medical Society. 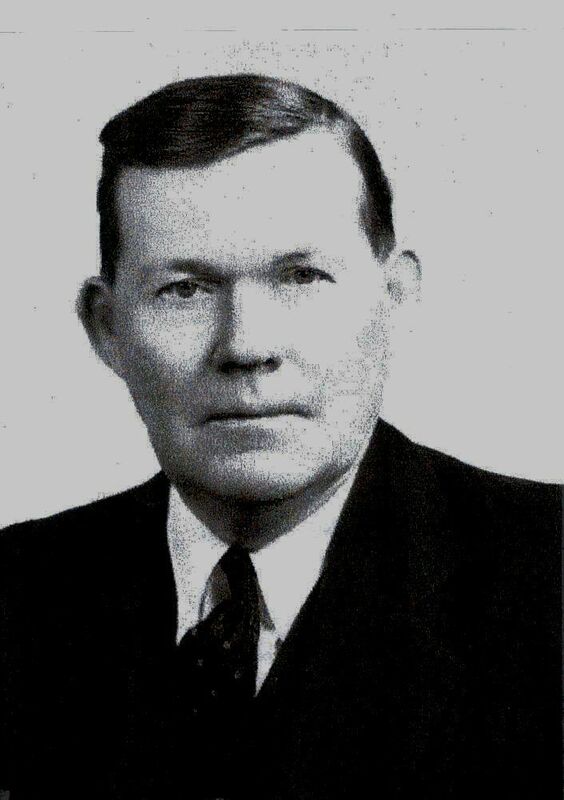 Other areas of professional service were: Chief of Staff at Clarksville Hospital, Medical Examiner for Johnson County in World War I.
Dr. Hardgrave served two terms in the Arkansas House of Representative in 1935-1939. He was a charter member of the Clarksville Lions Club and its past President. He was active in the Masonic Lodge, a Mason for 57 years, an Eastern Star for 57 years and a Royal Arch Mason for 7 years. His love of horses led him to become an active member of the Johnson County Round-up Club. Both Dr. and Mrs. Hardgraves were active members of the Baptist church. Dr. Hardgrave was a deacon and sang in the church choir. In 1961 The Johnson County Medical Society honored Dr. Hardgrave with a sterling silver serving tray for his 50 years of practice. As was the honorary custom to those who had practiced medicine for 50 years, Dr. Hardgrave was given membership in the Fifty Year Club by the Arkansas Medical Society. Dr. Hardgrave died on August 8, 1964, age 83, and is buried in the Oakland Cemetery, Clarksville, Arkansas.